Among the actors who have recently been added to the cast of Suicide Squad are Raymond Olubowale and Scott Eastwood. While Olubowale is rumored to be the super villain King Shark, there hasn’t been any word yet on who Eastwood will be playing in the 2016 blockbuster…until now. Amidst all the criminals, psychopaths and evildoers filling up Suicide Squad, Eastwood’s character may have just been revealed as a good guy who is an important player from the Wonder Woman mythos. Latino Review is reporting the rumor that Scott Eastwood will briefly appear in Suicide Squad as Steve Trevor, Wonder Woman’s primary love interest from the comics. No details were included about what his role will be, but the article mentions that since Suicide Squad is being heavily based on the New 52, this could mean that moviegoers will see Steve as an agent of A.R.G.U.S. (Advanced Research Group for Uniting Super-Humans) working under Amanda Waller. This appearance will also set up Eastwood up for a major role in Wonder Woman's 2017 solo movie. Steve Trevor played a crucial role in Wonder Woman’s 1941 origin story when he crash landed on Themyscira, her home island filled only with women. After nursing him back to health and falling in love with him, Wonder Woman followed Steve back to the outside world, and together they fought bad guys together. 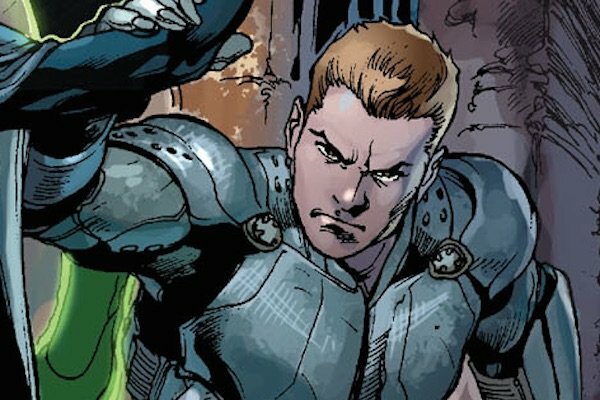 His connection to Wonder Woman still exists in the New 52, although his romantic feelings for her hasn’t been reciprocated. He also served for years as the U.S. government’s liaison with the Justice League before becoming the head of A.R.G.U.S. Steve’s most prominent appearance outside of comics to date is when Lyle Waggoner played Steve and his son Steve Jr., in the 1975 Wonder Woman TV series. This has also been the character’s only aired live-action appearance, since the 2011 Wonder Woman pilot, which had Justin Bruening playing the role, never aired. Steve’s has also appeared in animated projects like the 2009 Wonder Woman film, Justice League: War and Justice League: Throne of Atlantis, as well as in the three-part animated Justice League episode "Savage Time." Eastwood’s resume includes roles in Gran Torino, Invictus, Texas Chainsaw 3D and Dawn Patrol. Suicide Squad will be his second project with director David Ayer following last year’s Fury. Eastwood was also evidently a contender to play Rick Flag, but lost that role to Joel Kinnaman.